Join C.W.M. Radio Show Each Tuesday @7pm est. Host: Apostle Michael Branch!! 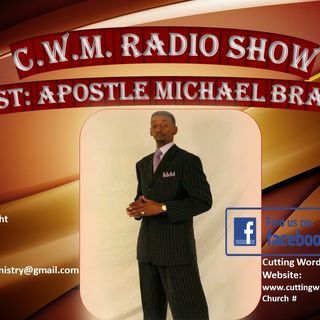 Join C.W.M Radio Show each Tuesday night @7pm est. for a word from the Lord, Host: Apostle Michael Branch! !